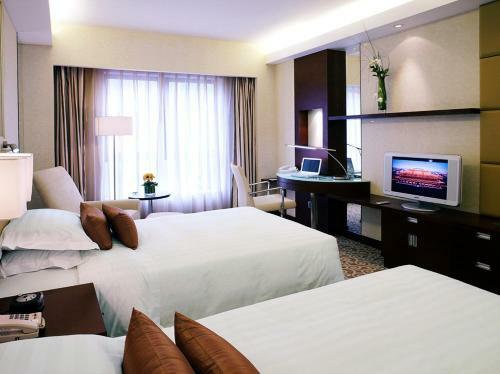 Crowne Plaza Beijing Wangfujing is centrally located along the popular shopping belt of Wangfujing Avenue, a 10-minute drive from Tiananmen Square and Lama Temple. 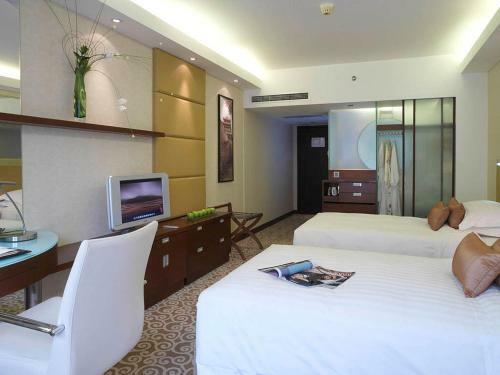 The hotel offers an indoor pool, 3 dining options and a spa. Beihai Park is an 8-minute drive away and Houhai bar area is a 20-minute drive away. Crowne Plaza Beijing Wangfujing is a 15-minute walk from Wangfujing subway station (line 1) and 2 km from The Forbidden City. Beijing International Airport is a 45-minute drive away and Beijing Railway Station is a 15-minute drive away. 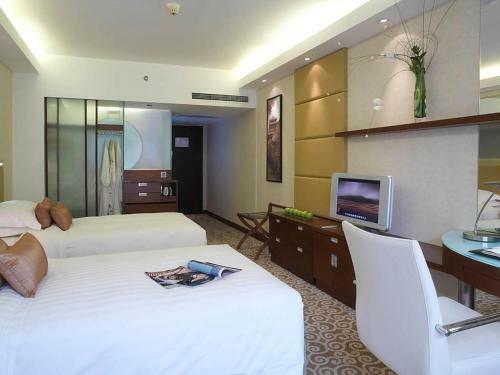 The contemporary and elegant air-conditioned rooms are equipped with a LCD TV, a work area and a minibar. The marble bathroom comes with bathtub and shower facilities. The hotel’s spa offers massage services and a hot tub. Guests can work out at the fitness centre, enjoy karaoke, or make use of the banquet hall or meeting rooms. Ticketing services and tourist information are available at the tour desk. Zen Chinese Restaurant serves seafood and Cantonese dishes, while Essence Restaurant features Asian and Western buffets. Guests can also enjoy delicious steaks and delightful drinks at Angus Grill & Bar. Цена: CNY 612.00 ... CNY 1300.00; select dates below to get current rates.